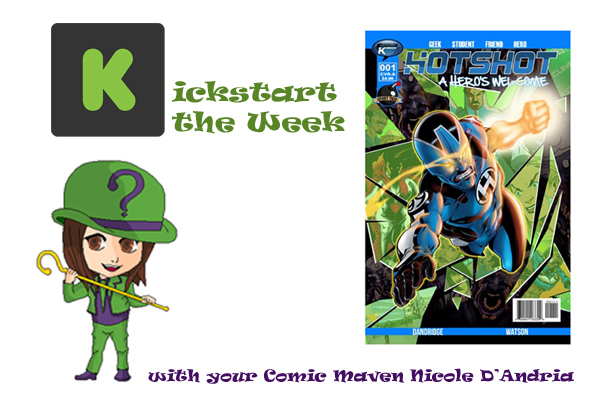 This time on “Kickstart the Week” we’re featuring a Kickstarter relaunching the comic book series Hotshot. 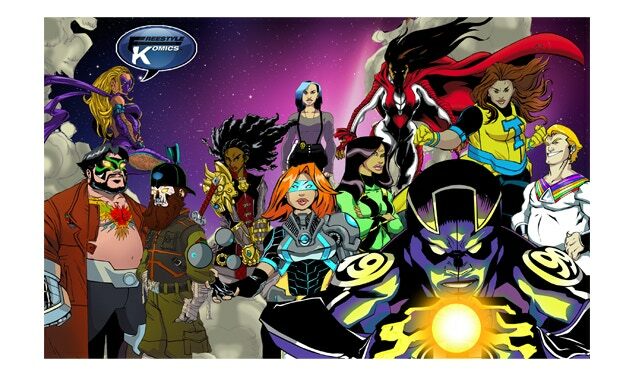 Originally published by Freestyle Komics, creator Michael Watson is teaming up with Short Fuse Media to bring back Hotshot, a superhero series with super problems (as well as the everyday variety). I spoke with Watson about Hotshot, Short Fuse Media and his own superhero origins, among other things! 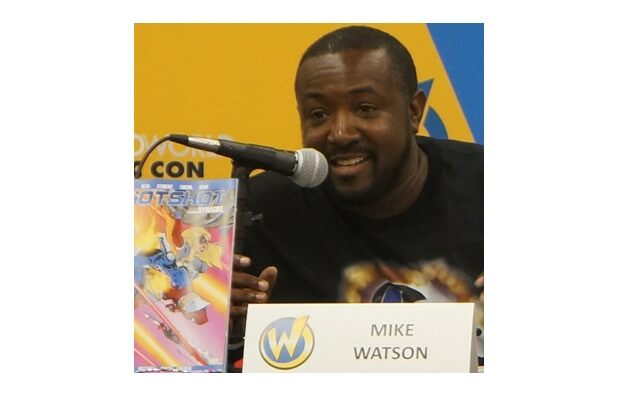 Hotshot was created and penciled by Michael Watson. 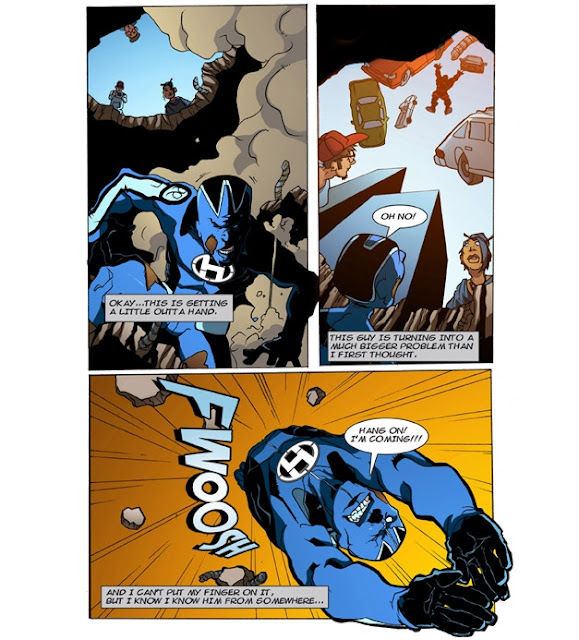 He is also the founder and editor-in-chief of Freestyle Komics. This time around, Watson is enlisting the help of Short Fuse Media (the publisher of our very own Kathryn Calamia’s Like Father, Like Daughter) to relaunch the series and help it reach new heights. Writers for the series include Victor Dandridge (#0, 1-6), Cary Kelly (#7-8) and Michael Watson (#0, #9). Inkers include Matt Keltner and Marc Voltich (#0, 3-4), Bernard Binder, Alexander Diochon & Alex Miller (#1), as well as many others. 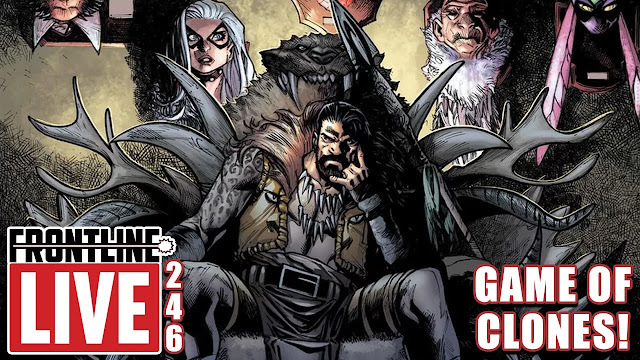 Some of the colorists include Ryan Carter (#3) and Sang Nivagune (#1, #6). Hotshot will be successfully funded if it reaches $4,000 by September 18, 2017 at 9:00 PM EDT. 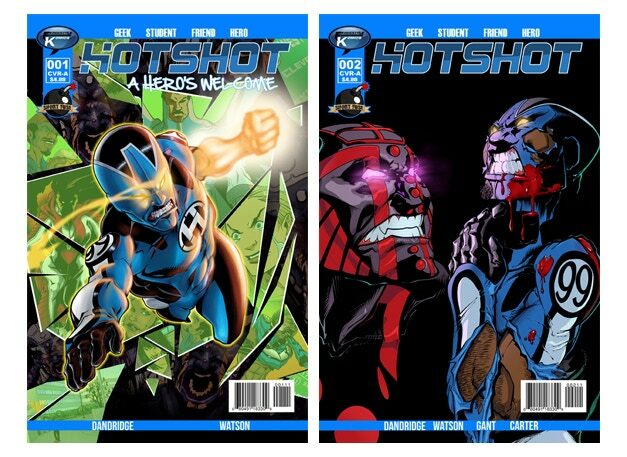 Rewards include digital and print copies of the first nine issues of Hotshot depending on how much you pledge as well as Hotshot T-shirts and action figures. 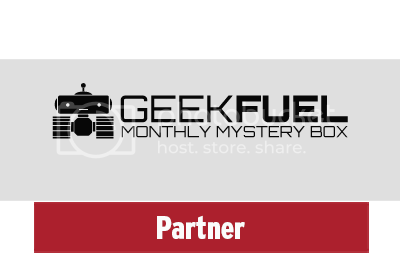 View more details about the rewards on their officialKickstarter page. Me: Who is Hotshot and how is his story different from other superhero stories? Watson: Hotshot is a young man living in Columbus, Ohio trying to prove to his girlfriend he never cheated on her while not revealing he is a superhero and not get kicked out of college because he's a superhero. While he balances those big life issues he has to learn what his powers are and how to control them. The story is different for a number of reasons, it takes place in Columbus/Cleveland, Ohio, all the titles are formed after "The Zero Event" so we get to see the world of Hotshot come to life, the lead character and supporting cast features characters of color, the story is loosely based on my life in college, and it starts with a breakup where our main character has to deal with it. He can't fix it and when he tries he makes it worse. As the classic statement goes, "When a woman is fed up...". Mike/Hotshot wears his feelings on his sleeves so you will get to experience this story from a very passionate and unique perspective. We will deal with a ton of very relatable and personal stories in this series: physical abuse, alcohol, losing employment, and more. Asking the reader, how far would you go with powers if you could correct a past wrong, if you were given another chance? In ways it is inspired by Naruto, Spider-man, Invincible and Wolverine. Me: What can you tell us about the supporting cast in the book? Watson: The supporting cast plays very important role as Mike's personal life is just as important as his superhero one. One thing you will notice is there will be a lot of females in this story. My best friends that I was closest to were females in college. Maria (Best Friend) for one does not pull any punches with Mike as she is aware of him being Hotshot. She will let him know EXACTLY where he screwed up. Carla (the Love Interest/Ex-Girlfriend) is very important to the story as we will get to see that she has legitimate feelings. She comes off as a jerk when her and Mike talk but when you look at it from her perspective, she's right. Vigilance is a great friend to Mike/Hotshot as she is showing him how to be a better hero. She is blunt and to the point but Mike/Hotshot shows her how to be more relaxed. Me: Who are the antagonists Hotshot faces off against in the series and what makes them so dangerous? Watson: Our first Villain is technically Carla. She and Mike have a very serious conversation about things and this is a fight for Mike to try to win the conversation, to bring her back to his side. Void on the other side of things is a problem Hotshot can actually punch. He is an anomaly of destruction only seeking to destroy and kill Hotshot. Void appears at a time in Hotshot's career where he has not faced a threat of Void's level before. He can fight better than Hotshot, he's stronger, quicker and has more power as well. What makes him deadly is the fact that he seems to know what Hotshot is and even where his (Hotshot's) powers have come from. When someone is more intimate with your origin than you are that will create problems on a different scale. Me: With eight issues under your belt so far, what has been your favorite scene to write and/or draw so far and why? Watson: The conversation with Carla. When Carla discovers that Mike is in fact Hotshot. Trying to make the pages capture the emotion in that conversation. It’s also a great story moment that a lot of people in relationships can get behind because the conversation is grounded in reality. Victor Dandridge did an excellent job penning that dialogue. 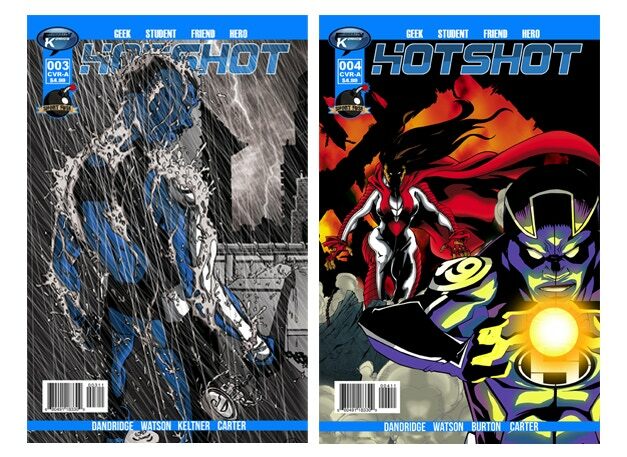 Vic wrote the first 6 issues of Hotshot. Me: Can you tell us the story of how you came into contact with Short Fuse Media and why you decided to relaunch Hotshot with them? Watson: Actually, I had just recently announced on social media I was no longer with a previous publisher and all my titles were still with me. Sean messaged me and asked me to bring Freestyle Komics (FSK) to Short Fuse Media (SF). Without telling Sean I spoke with a few members of SF and got their perspective on the company. Everyone had nothing but positive things to say. I talked with Sean for several hours over several days and the fact that he understood my previous situation and worked with me on the things that caused me to leave the other studio spoke volumes. Then of course I did some homework on the studio itself and their presence in the comic community is impressive. SF's mentality for the business of making comics was right where I wanted it to be and I am a huge TEAM guy. After that, the decision was easy. 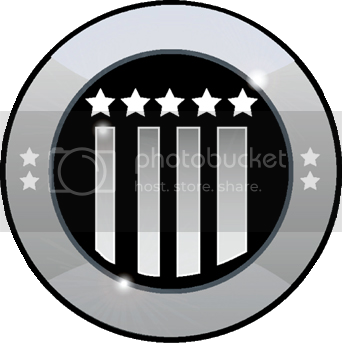 The relaunch is to increase the audience on the FSK titles and bring the FSK fanbase to SF. It was a "Let’s start off fresh and get out there with all this content". We want to show we are in the business of making komics. Me: What can you tell us about the HotshotVerse and your future plans for it? 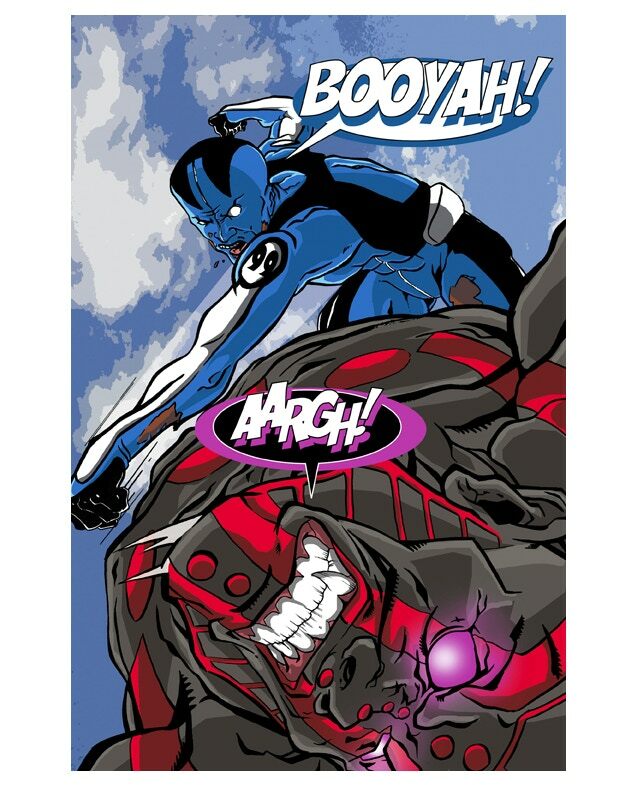 Will there be any crossover between your universe and Short Fuse Media’s other books? Watson: There will defiantly be crossovers with several titles from SF. That is already being worked out. As far as the HotshotVerse is concerned we have big plans as we are five titles strong, Hotshot, Vigilance, Heroes International, Emerald Quest, and The Cypher. We are leading up to a mini event for each title and one huge cross over with 4 titles. After issue 9 of Hotshot we are going into his origin and showing what The Zero Event is. Vigilance will have demons to face, Heroes International will have to grow up quickly, and you will see how Emerald Quest is connected to the HotshotVerse as a whole. Me: If you lived in the Hotshotverse and could be one of the characters, who would you be? And what is their origin story? 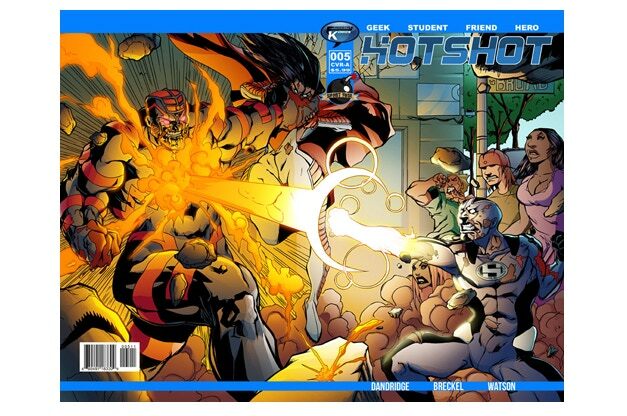 Watson: Hotshot and that is gonna be unveiled in issues #10-13 of Hotshot. Hotshot is based off me. Me: What if you became your own superhero? What would be your origin story? Watson: Geeky art college student crushed by the death of his Hero Justice and the loss of all the Extras in what is now dubbed "The Zero Event" falls asleep wondering who will protect us now. Awakes the next morning floating on his bedroom ceiling. In shock he tries to get down, clawing as the air and a rush of heat overtakes his body and surges through his hands to the floor below, scorching the carpet. He falls and quickly gets to his feet and stamps out the flame. Looking at his body, his hands, the ceiling and the scorched floor. The same question from last night popped in his head. Who will protect us now? Me: You also founded Freestyle Komics. Why did you initially create this company and what is its mission statement? Watson: I initially created this company because Marvel comics told me "No". I tried get hired by them and was told my art is too urban and I said ok and started my own komics. The mission statement of FSK is "To create an unrestricted free movement of imagination expressed through hand and received in Komic form." Freestyle Komics is a comic publishing studio. A studio focused on creating stories and characters you can relate to and become united beside them. At Freestyle our mindset is anyone can be epic no matter their shape, size, or color of one’s skin. We all have the ability to be heroic or a villain. Watson: The number reason is because the komics we are crafting are the answer. For all the complaints of the wrong doings in comics and what the big two are failing to do. Hotshot is doing all of it and has been doing it, and not because of public outcry either. We have no one to answer to and we don't have a quota to meet, we just make komics. We are making stories with diversity and consequence. Watson: Take out that pen to the pad and create. That is the only way you will make it happen. Be open to feedback, you do not have to take everything everyone says. Use what you want and throw out the rest. Watson: Draw and never be happy where you are at as an artist. Find people that want you to succeed, people who will not praise what you’re good at but search for your weakness so it’s not a weakness anymore. Me: Thanks for your time, Michael! Best of luck keeping your HotshotVerse cool. If you’re reading this and you’re interested in checking out Hotshot, take a look at their Kickstarter here.